Southern Soul Paradise: Mose Stovall - Alabama Blues Hall of Fame! 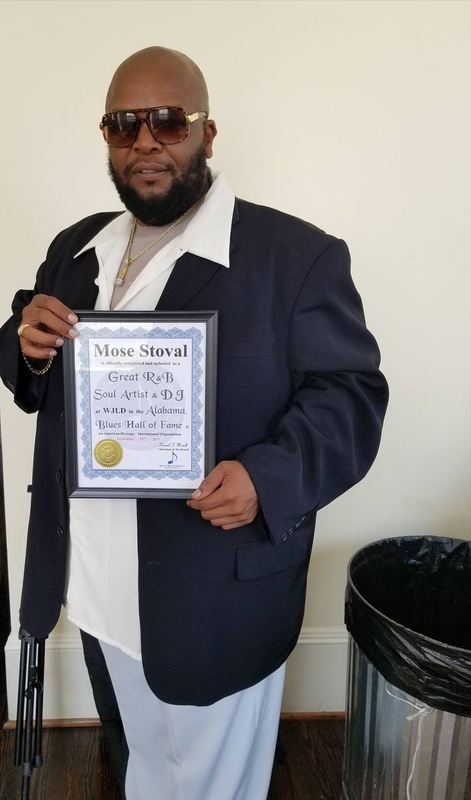 Congratulations to Mose Stovall who was inducted on September 23 into The Alabama Blues Hall of Fame 2017!!! So proud of him! You can listen to Mose in the Birmingham, Alabama, area on WJLD 1400AM, WIXI 1360AM, 94.1FM, or online at www.wjldradio.com.